On Thursday 22nd November we had a very interesting visitor in School. 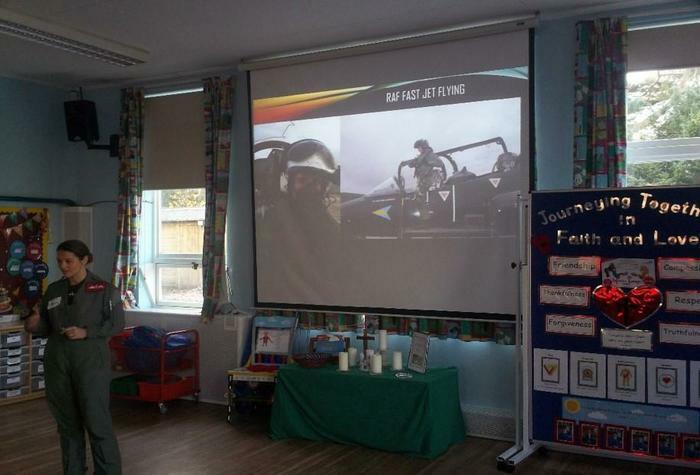 Kerry came to talk to us about her extremely exciting job as an RAF pilot! She told us all about the planes that she flies, one plane can hold 300 people and it can even refuel other jet planes while they are in the air! 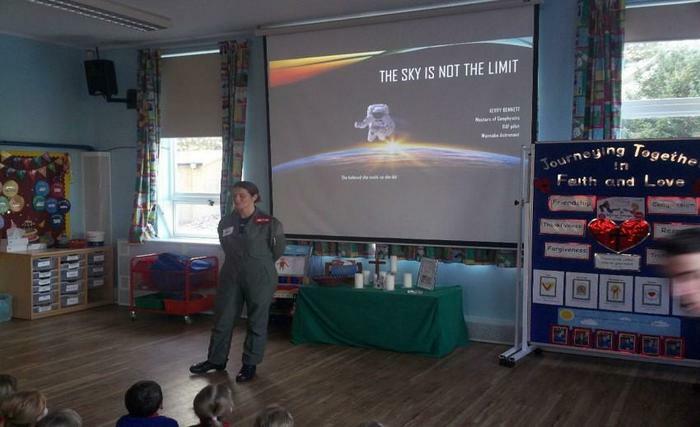 Kerry’s big dream is to be an Astronaut, and she took part in a TV show about becoming an astronaut. She told us about training in a zero-gravity zone, where they floated around as if they were in space. Kerry told us that if we dream big, then anything is possible!